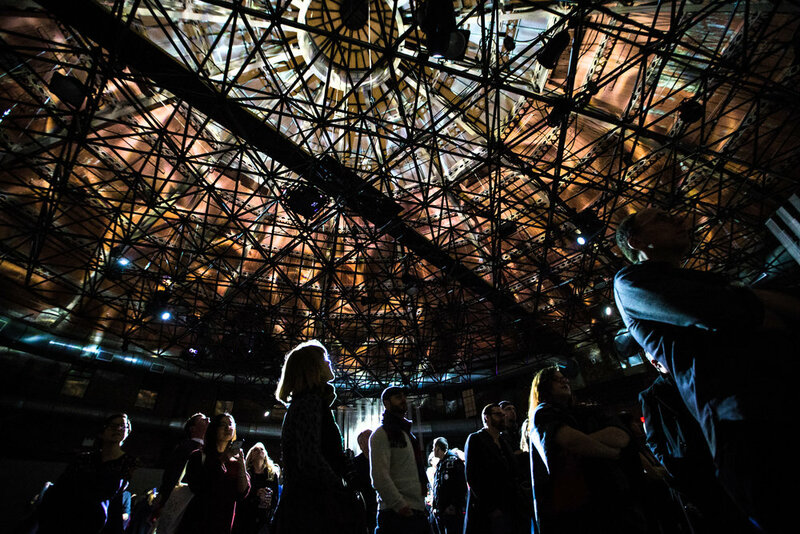 Repercussions of the word NO reverberate around the historic walls of the Cyclorama in this site-specific installation created by Masary Studios for Boston Center for the Arts. 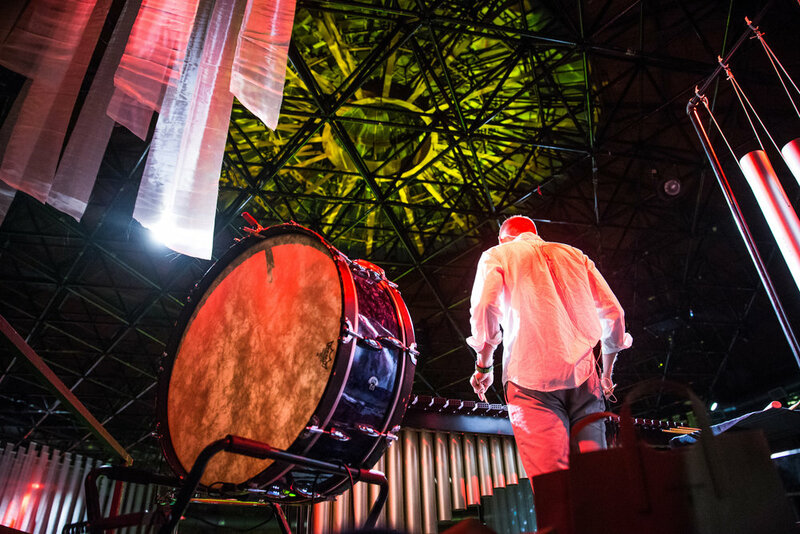 A dozen performers worked with combined light, sound and poetry in a thrilling spectacle that was the first major commission in the Cyclorama in decades. Audiences were invited to explore the Cyclorama, and with it the complex, emotional and visceral human reactions to denial. 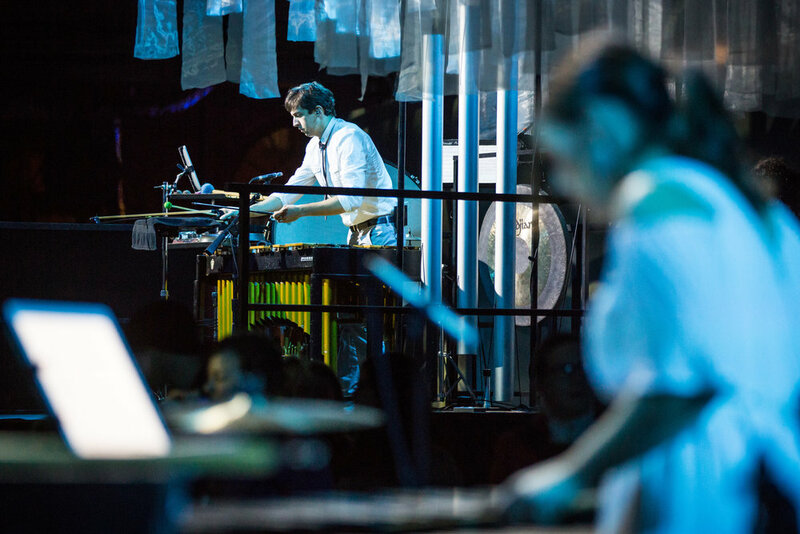 A truly multi-disciplinary experience, projected visuals and light illuminated the Cyclorama and built structures while eight percussionists and four vocalists used marimbas, drums, blocks of wood, chimes and more to perform a newly composed work that showcased the unique acoustics of the Cyclorama. Additionally, the performance featured the writings and voices of collaborative poets from across Boston—including poets from the Society Of Urban Poets and the Poet Laureate of Boston.